Nestled in a lightly wooded setting in Southwest Harbor on Mount Desert Island, Acadia Cottages is open May-October and offers 11 cozy cottages. Family owned, historic Southwest Harbor Inn. Includes 8 tastefully decorated rooms & restaurant serving fresh seafood & other popular dishes daily. Open year-round. Book Now! Overlooking Southwest Harbor, Maine, the Clark Point Inn Bed & Breakfast welcomes you to the quaint beauty of Mount Desert Island. Enjoy a luxury three-story townhouse loaded with amenities. Something for everyone with an indoor pool, hot tub, fitness center, game room, and playground. Whether you want to own real estate or just want a vacation rental on the Maine shoreline, L.S. Robinson Vacation Rentals will work for you! One of the best campgrounds on Mount Desert Island! RV Sites, Tents/Pop Up sites, Rustic & Deluxe Cabins, Camp Store, Pool, & much more! Minutes to Acadia National Park! Nothing but peace and quiet here at this amazing 100 yr old B&B. One mile from Southwest Harbor, on 7 waterfront acres you can relax, enjoy, and unwind day or night. Clean, airy, comfortable rooms with private baths and full gourmet breakfasts, nearby to Acadia, whale-watching cruises, sea kayaking, sailing, and spectacular ocean views. This bed and breakfast overlooks the harbor in Southwest Harbor, Maine. The rooms include fresh flowers, wine, homemade chocolate, robes, and much more. A peaceful B&B on the "Quietside" of the island. Enjoy watching the waves come in, hike, bike, unwind and enjoy our library of books. 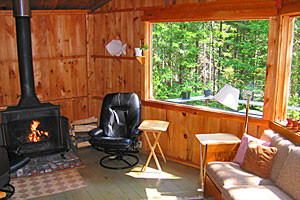 Connect with travelers planning a visit to Acadia Lodging.